Managed Services aren’t always easily understood, and therefore can be tough to sell. Add to that the fact that many MSPs have more tech than business savvy and you have a real problem. But MSPs also tend to be smart, so learning about sales and marketing, and knowing where to turn for help, is doable so long as there is the commitment to do so. These are lessons worth learning as there’s money in them there services. Gartner’s believes that 90 percent of North American companies will use remote infrastructure managed services by 2014. Forrester (News - Alert) predicts that managed services will grow at an annual rate of nearly 18 percent worldwide. There are consultants willing to help, but one of the best sources are vendors that serve the MSP community such as GFI. In fact, besides white papers and other materials, GFI has a Web site that offers MSP marketing tips and tricks. N-able (News - Alert) also wants its MSPs to succeed, and recently finished MSP Playbook, an eBook to assist MSPs in building business plans and managing the business and customers once things are really rolling. In the eBook N-able, now owned by SolarWinds (News - Alert), it details growth strategies, as well as the best practices and tactics proven to work. Taken together, MSPs should gain a complete roadmap for selling proactive managed services. You can preview the eBook at https://secure.n-able.com/playbookpreview/. There is plenty of technology to chew on as well, such as how to outsource or build a network operations center (NOC), and pick a professional services automation (PSA) tool. Logicalis (News - Alert) has an entire program devoted to giving its MSPs a leg up. MSP Expert Extension Team (M.E.E.T.) is a “a service designed by Logicalis US to allow small to mid-sized MSPs access to the expertise, technology and marketing opportunities they need to expand their businesses and improve profitability and cash flow,” as the company explains. M.E.E.T. is specifically aimed at giving small MSPs a boost in targeting SMBs. 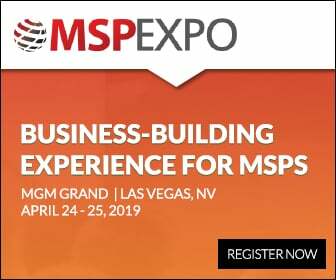 “We have the ability to extend our partnerships and our success as a large, global MSP to small to midsized MSPs that need help scaling their businesses to meet growing demand for managed services in the market today. Through Logicalis’ new MSP Expert Extension Team program, we are offering full and complete access to all of Logicalis’ MSP services and relationships to our registered M.E.E.T. partners. This access, combined with unprecedented levels of communication and trust, give our M.E.E.T. partners the tools they need to succeed as their businesses gain momentum,” said Julie Spiller, director of IBM (News - Alert) sales for Logicalis. Pundits are also getting in on the action, such as Larry Walsh who runs Channelnomics. In a recent speech to GFI MAX partners, Walsh told MSPs they have a lot to learn about sales and marketing fundamentals. “Just because solution providers have implemented managed services as part of their business model doesn’t mean they’ve operationalized it. In many cases, solution providers are undervaluing managed services as a revenue driver and mistaking the initial success in recurring revenue as good enough,” Walsh argued. MSPs need to grow and that means regularly bringing on new clients, which takes good marketing and sales. Once you have these clients, you need to hang onto them which adds recurring revenue and predictability. “The managed services magic is about predictability. If an MSP has no confidence in the loyalty of its existing customers, it will have no predictability in how much revenue will accrue over the mid- and long-term measures,” Walsh said. 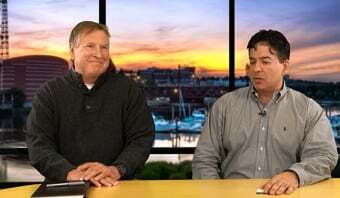 New England Network Solutions is already making hay with the program. “We’ve been building an MSP practice for years, and we looked at various vendor marketing programs. Continuum Marketing Advantage isn’t just different; it’s the only complete marketing solution purpose-built for MSPs that need a methodical and proven means to increase their marketing and sales effectiveness,” said Dan Adams, president of New England Network Solutions. 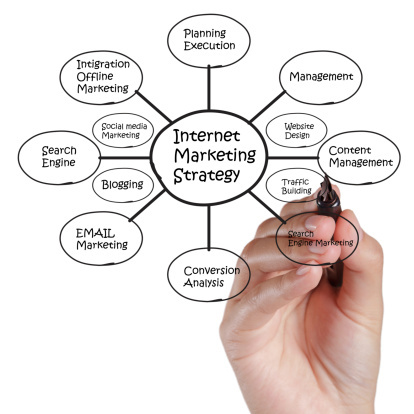 independenceIT has an entire school dedicated largely to marketing. iIT University (iIT U) comes with training and marketing materials such as case studies, which can be customized for each partner. “Rather than simply dropping off some training packets or holding a webinar with multiple partners, independenceIT created a customized presentation that gives our sales, support and technical teams insights into effectively selling and managing cloud services,” said masterIT CEO Michael Drake. Like with Continuum, independenceIT already has happy partners. “The sales and marketing templates that independenceIT provided saved us thousands of dollars in development and legal costs,” said Connecting Point President Ted Warner. Tip one. Figure out what you know and don’t know. Are you good at PR and marketing, or should that be farmed out? Are you interested in these areas and have time to learn? Tip two: Get help. As mentioned earlier, vendors are a great source of assistance. And there are consulting firms such as Ulistic which sells MSP marketing services, as well as sales coaching and business consulting. .
MSP marketing tips and tricks Web site, MSP Business Management, the tips and resources are free and available to all.